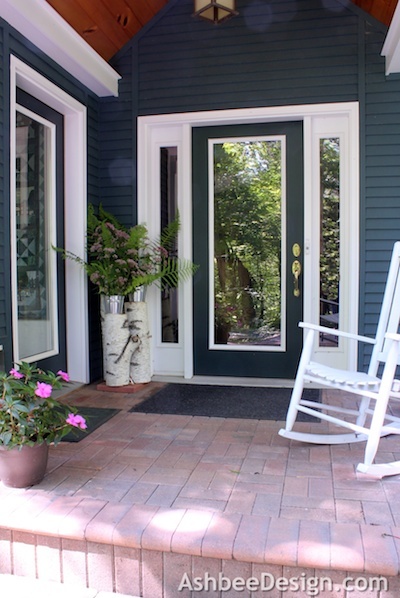 It has been well over a year since I installed the handmade ladder in my portico area. 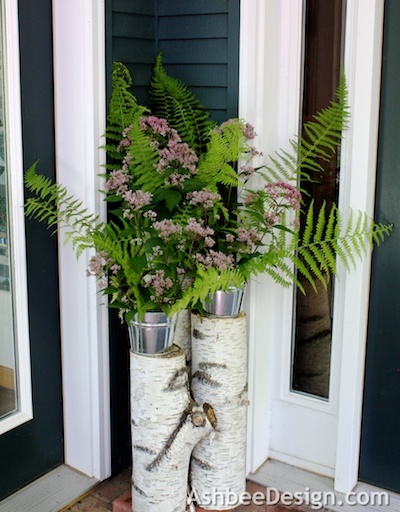 I figured it was time to move on so I brought back my birch stumps. I'd had them drying in the top of the garage for the last year. I decided to top them off with some wild flowers. There is a new variety growing out along the road, a dull pink flower in full bloom. I decided to experiment and see how they do in a dark corner. I paired them with some of the natural ferns in my IKEA buckets and they seem to be doing quite well. The trick with wildflowers is that first test. Can they hold up once picked or do they wilt immediately? These seem to be lasting. I already know this type of fern is a good one. It easily lasts two weeks in water. I tend to prefer wildflowers in this corner. Every flower or plant that I have purchased immediately grows fungus or mold and dies. Certain varieties of wildflowers seem to do much better. I visited the Connecticut Botanical Wildflower sight which has a nice "search by color then picture" feature. 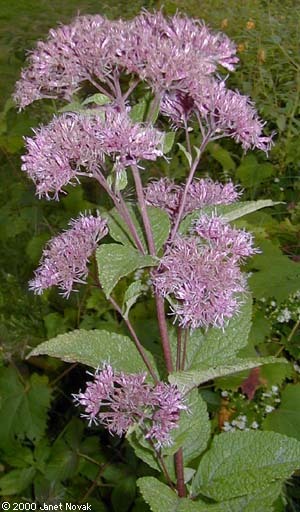 I have unofficially identified this weed as Eastern Joe-Pye-Weed. Here is their identifying photo. 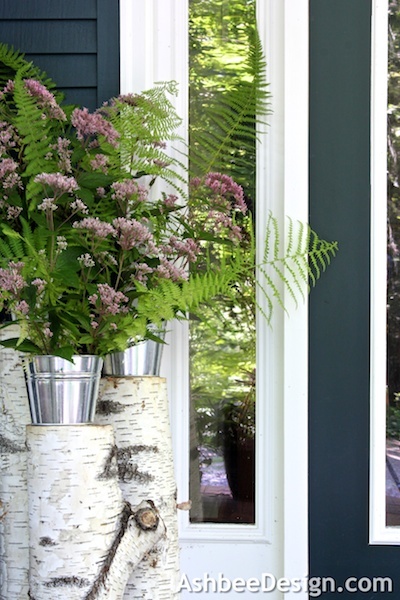 The dull pink flowers combined with the bright green ferns and birch logs really lighten up the dark corner. So beautiful! Love wild flowers. So glad you linked up at Romance on a dime again. Hope to see you this Tuesday!